There’s something special about women’s golf at The National. As the composition of the finalists revealed itself on Sunday 10th February, players were full of smiles and in some cases, relief that it was over. Kerry Duddy reflected that since playing in all but one of the Championships since 1987, there had never been such a large field of A-grade players and with the depth of talent. 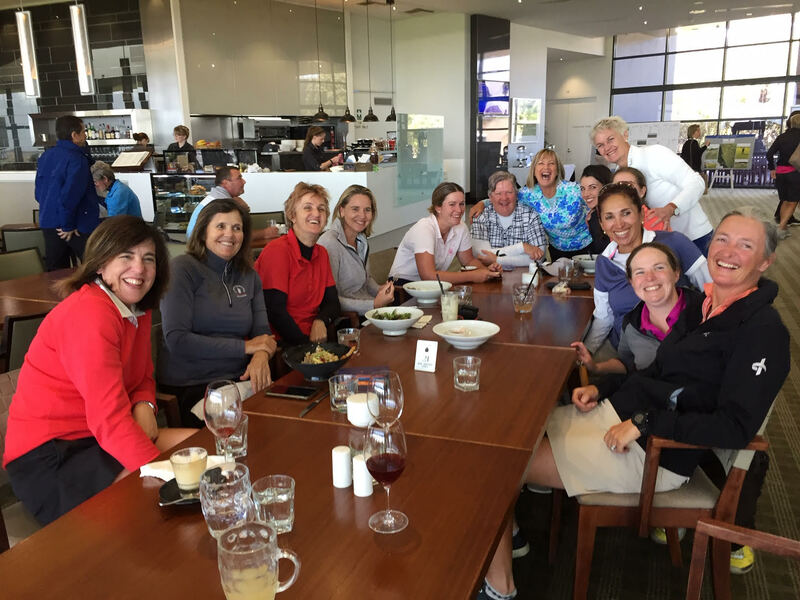 This photo shows five past Club Champions, and several future ones sharing laughs together after one of the worst days of weather on the 2nd Saturday of the qualifying rounds, proving it’s about participation and friendship. It doesn’t get any better for our National women!